At The Centers for Advanced Orthopaedics - Robinwood Orthopaedic Specialty Center, we are committed to offering quality care. We provide you with extensive knowledge on all of our procedures to ensure your comfort. Surgery used to always be open, with an incision large enough for a surgeon to work inside a patient’s body. Today, many conditions can be treated with arthroscopic surgery, which requires only very small incisions. Your surgeon will determine the most appropriate method for your situation. In addition to the orthopaedic surgery options listed below, we offer comprehensive diagnostic services and non-surgical treatments. Arthroscopic surgery uses highly specialized instruments to perform minimally invasive surgery through very small openings. 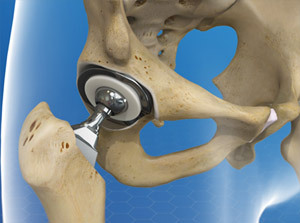 The technique is most commonly used to examine and treat knee, shoulder, elbow, ankle, hip, and wrist joints. Advantages include smaller incisions, less scar tissue, less pain after surgery, and faster recovery. What Can I Expect During and After Arthroscopic Surgery? 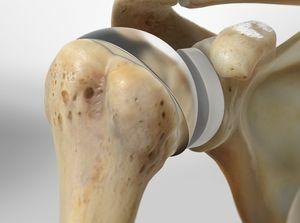 Arthroscopic surgery is usually performed on an outpatient basis. Most people need little or no pain medication after arthroscopic surgery; some resume daily activities within a few days. However, it takes several weeks for the joint to completely recover, so your surgeon may suggest a specific activity and rehabilitation program to protect joint function and speed your healing. Orthopaedists have many options for treating joint pain, including medications and physical therapy. However, if these treatment options do not relieve the pain and disability, joint replacement surgery may be the best option. 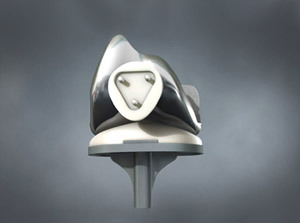 Joint replacement is successful in more than 90 percent of cases. What happens during and after joint replacement surgery? The surgeon will replace the damaged portions of the joint with new parts (made of materials like stainless steel, titanium, and durable plastics) that allow normal joint movement. The joint may be partially or totally replaced. After the surgery, you will be encouraged to use your new joint because exercise is an important part of the recovery process. Most patients have some temporary pain in the replaced joint because the surrounding muscles are weak from inactivity and the tissues are healing. However, the pain lasts only a short time, and once recovery is complete, patients can enjoy years of pain-free movement.